One unique advantages of the Aga Khan Academies network is the fact each of our schools offers residential facilities, enriching the the student experience by exposing young students to quality sports and recreational facilities as well as activities that aid in their growth. The focus of the Academies’ residential programme is on students’ intellectual, social, spiritual and physical growth in a structured and ethical environment. The environment in the residences are one of which supports and assists in the student´s development into the next phase of their life. 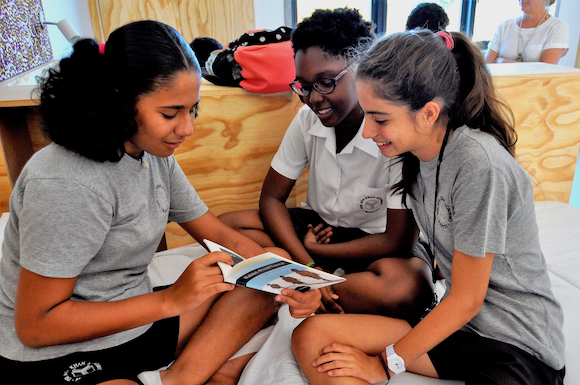 The Aga Khan Academy Maputo is set to open their new residences this academic year. This will open opportunities for students from Mozambique and outside to study the IB within Mozambique. The Academy in Maputo strives to follow in the footsteps of the Academies in Mombasa and Hyderabad by bringing the same warm and supportive environment, fostered by the residential architecture. Moving from a day school to a residential academy can bring many benefits in a child´s ability to learn. Students become exposed to other students and they are able to share experiences and their culture differences. This creates tolerance and understanding among students and their cultural diversity. Living away from home is beneficial to the student because they are able to away from distractions. Being in a residential Academy the student is able to have direct contact with the Academy facilities and are on activities that can be more stimulating for them academically. Key differences to living at home include the fact that dormitories are separated into the boys and girls’ residencies. Students are ‘dorm parents’ – a carefully chosen group of teachers who live in faculty apartments within the residences. We are looking forward to opening the Maputo residences soon. If you would like more information on our residential programme, please contact us.